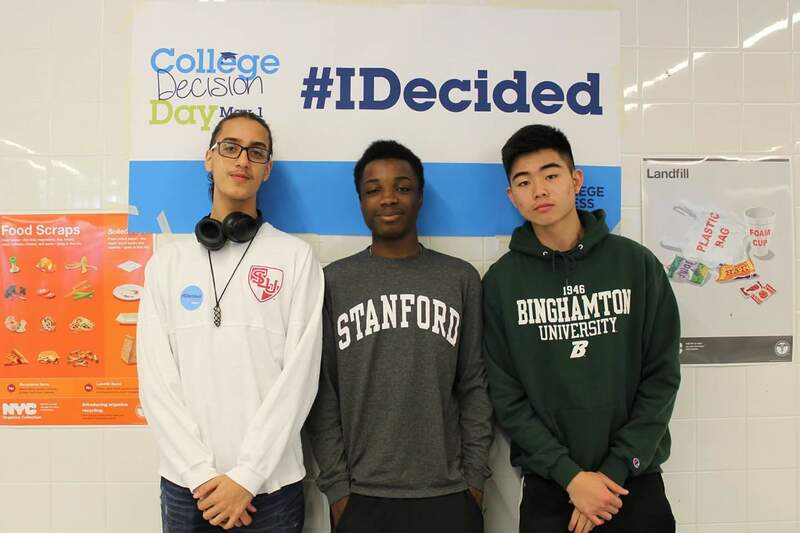 Congratulations to all seniors who made their final college decisions for College Signing Day! Check out our Facebook page for more photos. 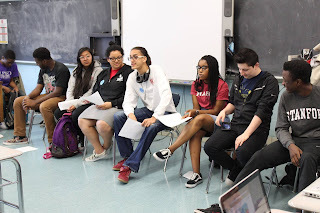 Thank you to senior Tania Guerrero for devising, planning, and executing our first College Signing Day student panel. Juniors got a chance to ask seniors all about the college process and their personal journeys. 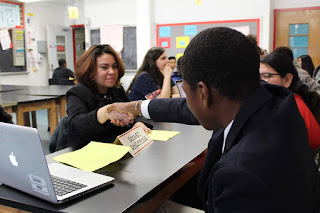 Congratulations to Ms. Cummings' freshmen for throwing a wonderfully educational Financial Fair! Congratulations to all parents who participated in Paint Night! A big thanks to Ms. Santillo for teaching us how to splatter paint like pros. Ms. Alder is taking CollegeNow applications for the summer! Take a free college course at CUNY John Jay this summer and earn 3 college credits toward your CUNY degree. Ms. Alder is also taking applications for SUMMER INTERNSHIPS! Spots are limited, so speak to her in Room 736 as soon as possible. Our AID Walk team is over 30 member strong! Join us in AIDS Walk New York, an event that has inspired nearly 890,000 people to walk and millions more to donate, raising nearly $150 million to combat HIV and AIDS. Join Ms. Feliz's fundraising team in the next AIDS Walk on May 21! Register for the team using this link. Looking for a last minute summer opportunity? Come talk to Ms. Cai in Room 716 to see what your options are. DOROT is a nonprofit organization whose goal is to alleviate social isolation and provide concrete services to older adults. 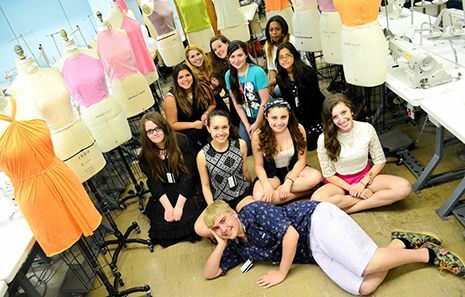 DOROT’s Summer Teen Internship Program offers two four-week sessions for high school students. Through a competitive process, we choose up to 18 interns for each session. Summer interns are expected to volunteer with DOROT during the academic high school year. Interns work as teaching assistants in a K-5 classroom under the supervision of a head teacher, and in small groups or one-on-one to help with academic skills and model good behavior. Interns will also participate in professional development to hone community leadership skills. Internship is unpaid. 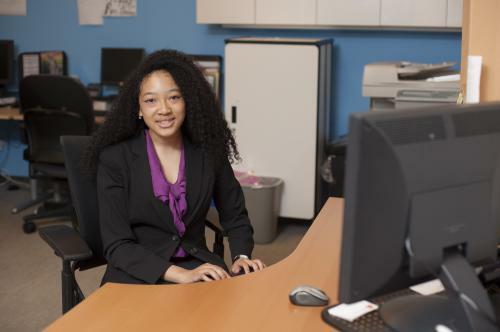 Futures and Options interns work in paid, mentored internships that best match their skills and interests. After submitting the online application, applicants interview with Futures and Options program coordinators. Applicants who are accepted into the Internship Program will also interview with supervisors at our business partners for specific internship positions. Fashion Institute of Technology's Precollege Programs prepares students for the FIT admissions process, including creative arts portfolio development, and features the unique experience of being part of FIT's dynamic and diverse college campus and the cultural vibrancy of New York City that informs and enriches the college, its history and its campus community. New Settlement Apartments College Access Center provides one-to-one college access and success counseling and financial aid services to high school students, young adults, and adults. The program's free services for current and future college students include: One-to-One College Advising, Assistance with Applying for Financial Aid (ex. 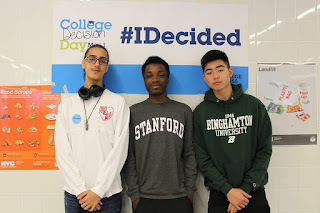 FAFSA, TAP, and CSS Profile), College Visits, SAT Prep Classes, Early College Awareness Programs, Success Advising for Current College Students, and Fee Waivers. CMA’s Young Artist Kollective (YAK), is a free program that provides emerging young artists in 6th-9th grade with exclusive studio space and materials, artistic and technical guidance, opportunities to meet with guest artists, monthly art parties, and a chance to learn about professional opportunities across the art world. ProjectArt offers after-school art classes at 23 public libraries across New York City. Each trimester, teachers design their own curriculums tailored to each community and incorporate a wide array of media, including graphite, oil pastels, markets, watercolor, acrylic, and tepera paint, cardboard, scrap and collage materials. PowerPlay’s SuperSTARS Leadership Academy (SSLA) is a year-long youth development program that offers high school girls the chance to: Develop body and mind through sports, healthy living activities and advisories; Deepen critical skills in writing, technology and networking for success; and build a portfolio of real-world work experience, service learning, mentorships, and prepare for college applications. DreamYard Art Center Programs help young people explore their identities and community through a nationally recognized arts and social justice curriculum. Students from Elementary through High School are guided in the core values of Empower, Create and Connect. Nice write up. Keep on doing the good work.